Your Shopping Cart is empty. Have a look at our products. 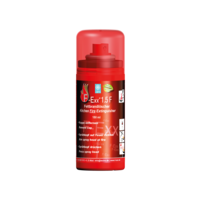 All F-Exx® extinguishers can be operated just like any aerosol spray can and are therefore quickly at hand and ready for use. With the principle being that of a balloon with no pressurized gases, F-Exx® devices do not need any propellants and aerosols. F-Exx® extinguishers are only under a pressure of 2 bar. In case of damage they will only leak until empty. "Make Safety Available" - The F-Exx® was designed and manufactured simply for this purpose. As long as the fire is still small, it can be contained by simple means. 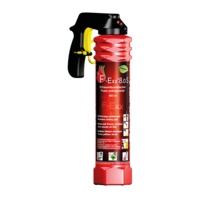 The F-Exx® is a portable extinguisher for incipient fires and can thus save lives and prevent damage. 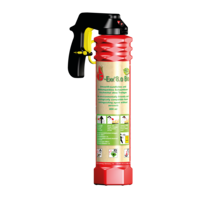 The system doesn’t require any propellant gases, aerosols or compressed air for dispensing the extinguishing agent. Because of its extinguishing performance, its handling and its dimensions, it can be used in many areas.